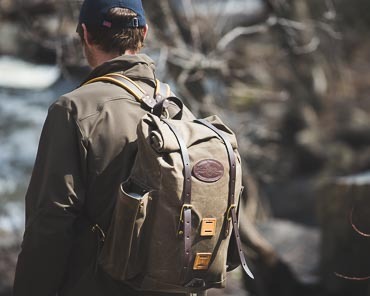 Featured Softgoods Take a look at some of our favorite, trusty packs and bags. 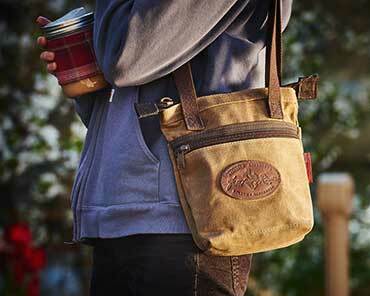 All of the buckles, snaps, slides, and D-rings on Frost River packs and bags are solid brass. It matters because Frost River stuff will outlast brass plating. Instead of turning steel grey the hardware will develop a old world brass patina. It’s the way it’s meant to be- and has a great sound. Martexin Original Wax is an authentic American product that has stood the test of time and has outfitted American workers, farmers, explorers, fighters and outdoorsmen for many generations. The Martin family has been involved in the dyeing and finishing of textiles in the United States since 1838. It is the best canvas available, and we stand behind it. The leather in our straps and reinforcements comes from the SB Foot Tannery in Red Wing, Minnesota. 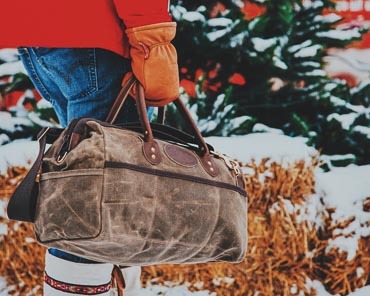 In 1872, Silas Buck Foot began tanning leather to provide high grade footwear for fellow Minnesotans to stay warm in the winter. In 1905 the Foot family partnered with what will become Red Wing shoes. The partnership remains to this day. 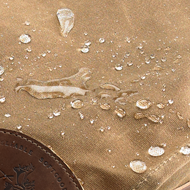 We use premium deerhide buckskin on our choppers, mitts and leather padded shoulder strap. 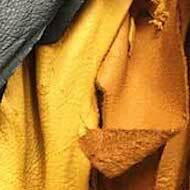 It’s a supple, durable, and natural material that is sourced from wild deerhides taken during hunting seasons in the US. Most of our hides come from the Midwest. There will be some natural scars, scratches and imperfections in the leather. This is normal, and not a defect, adding character to our Reliable Softgoods.